Welcome – Enrollment Opportunities at Eastview High School! Eastview High School students consistently achieve high honors in academics, the arts and athletics. 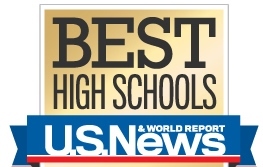 Eastview is recognized as one of America’s Best Schools. We offer extensive opportunities for involvement in activites held in our 330,000 square foot state of the art facility, which is also adjacent to 200 acres of competitive and recreational facilities. District 196 owns and operates a fleet of nearly 200 buses for transporting students safely to and from school. Click here for the ISD 196 Transportation Home Page. To find your bus pick-up and drop-off locations and times use our My Bus Stop tool. Students who live within the non-busing area but must cross a hazardous crossing, as determined by district guidelines, receive bus transportation service. Administrative Regulation 707.2AR addresses these guidelines.